Canada's women's soccer team will play for bronze at the Pan Am Games after falling to Colombia 1-0 in the semifinals Wednesday, ending its bid to repeat. 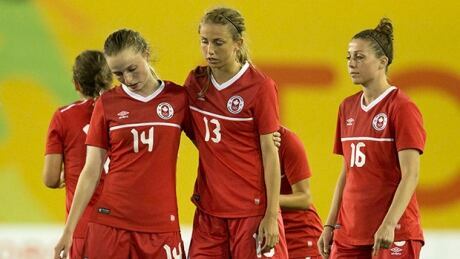 Canada's Pan Am men's soccer tournament ended on a losing note Monday night with a 2-0 loss to Peru. 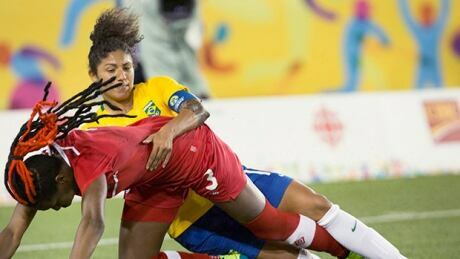 Canada dropped its final preliminary round game in women's soccer to Brazil by a score of 2-0 Sunday night, but will advance to play in the semifinals against Colombia anyways. 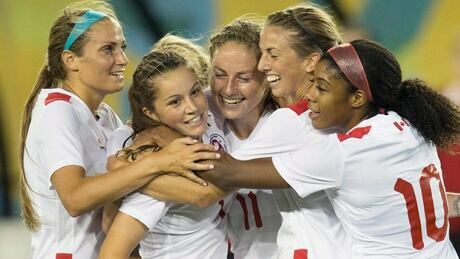 Canada's women's soccer team opened defence of its gold medal with a 5-2 victory over Ecuador at CIBC Hamilton Pan Am Soccer Stadium on Saturday night. 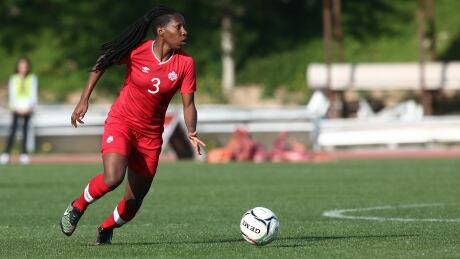 Canada's Pan Am soccer team will feature some familiar faces, with three women currently competing in the Women's World Cup continuing on to the games starting July 11. You are currently browsing the archives for the Sports/PanAm (Actual)/Soccer category.